We recognise that happy children make happy learners. Our children know that their wellbeing is important to us. Children share their views through check-ins, pupil voice sheets, Student Council and Anti-Bullying Ambassadors to name a few! 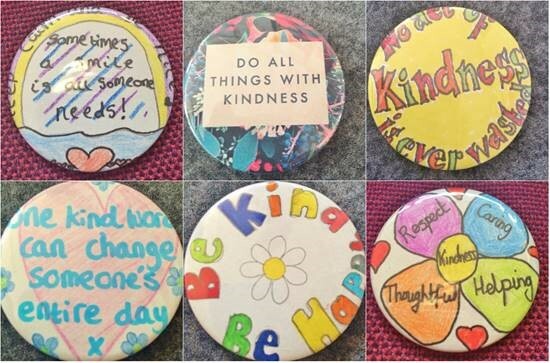 Every year, we celebrate ‘Kindness Day’ in partnership with the national Anti-bullying Ambassador Scheme. So far, we have designed personalised bunting flags where every child and staff member at Lanesend Primary School designed a flag with a kind comment about someone else. The bunting was hung for all to see! 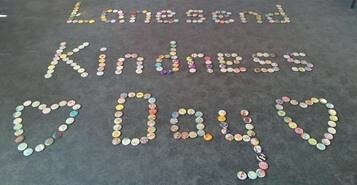 We have also completed kindness day badges where each child and staff member wrote their own definition of kindness. The Anti-Bullying Ambassadors have designed their own ‘child friendly’ Anti-Bullying policy. Each ambassador participates in a weekly rota where the responsibility is shared between all ambassadors to patrol and support all children in school during playtimes. The ambassadors ran their own cake sale to raise money for identification vests which will be worn when they are on duty. The Ambassadors raised £115.00 and now wear their vests with pride every day! Our Post box system was also created by our Anti-Bullying Ambassadors. Our ambassadors decided to have a happy post box and a worry post box. 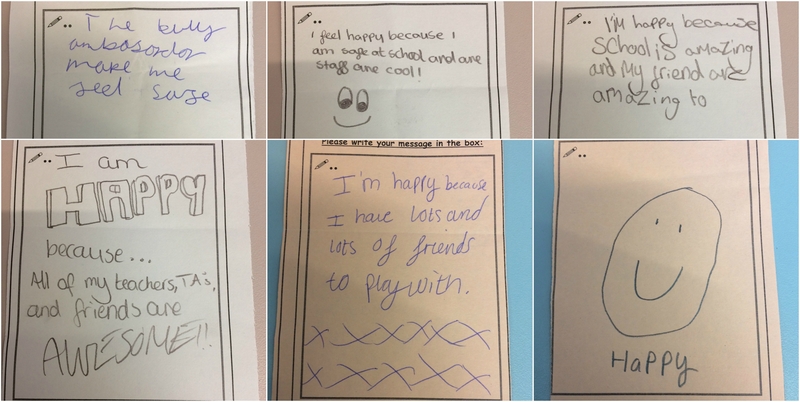 All children in school are encouraged to share their worries and feelings at any point in the school day, alongside positive comments. The boxes are opened by staff at least twice a day and so far we have had over 1000 messages written!